"The buildings of several companies, whose headquarters are located in Plovdiv, came across sprayed messages last Saturday morning. 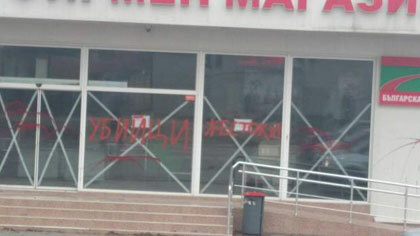 The windows of one of the most profitable meat shops in town was flooded with red paint. The vinyls of the supermarket are also ruined. Another meat shop in the central parts of the town was also attacked."